WE ARE SO EXCITED TO HAVE YOU JOIN US!!! 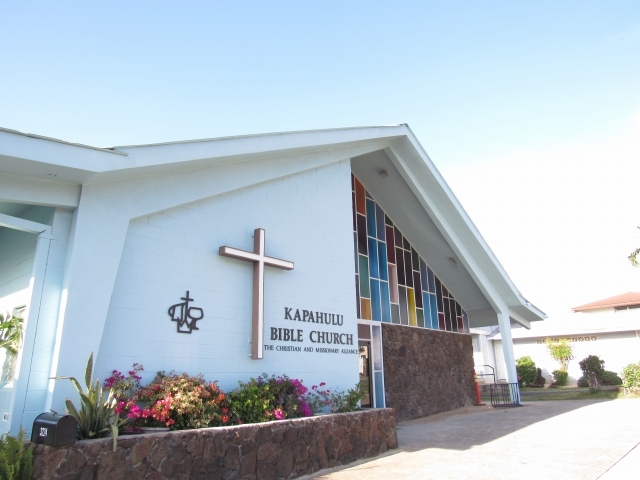 Kapahulu Bible Church is a community of believers who love Jesus and live out His teachings. We strive to grow deeper in our relationship with Christ Jesus as individuals and as one body, and we invite you to join us as we journey in this new life together. It is our passion to help bring new believers to Christ through loving relationships and equip believers to live a fulfilling life in Him. We gather together every Sunday morning with services lasting an hour and a half. Our atmosphere is relaxed and the worship and messages are encouraging and positive. We have two different services. Our 7:45am Service is our traditional service filled with Hymns of the Faith. Our 10:30 Service is our contemporary service with uplifting worship and praise songs. Casual and modest. Wear what's comfortable for you. We have Children's Sunday School during our 10:30am Service (3yrs old - 5th grade) We also have a nursery in our sanctuary for infants- toddlers. Our Youth Group meets every Saturday evening at 7pm in our Youth room upstairs. Connecting with Jesus and one another. For Young Adults and College students to come together for food, fellowship, worship & bible study. 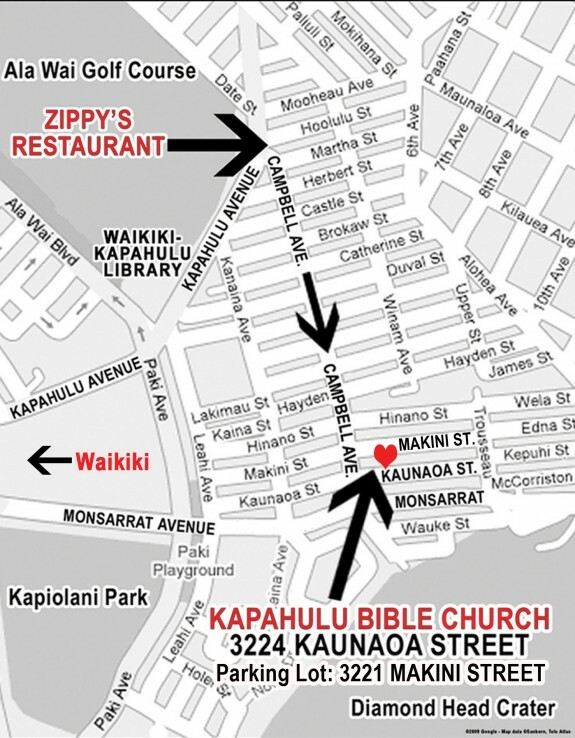 Thursday nights at 7pm - 9:30pm at Kapahulu Bible Church, upstairs, room above the Fellowship Hall. Just go towards Diamond Head!